Hitachi is one of several camera manufacturers unleashing 4K cameras with 2/3-inch B4 mounts and Gearhouse Broadcast made waves on its release at IBC2014 by announcing it would take the first 50 off the production line. Since then Gearhouse tested the camera to see how well the cameras worked in existing workflows and shares its findings with thebroadcastbridge. At the ATP World Tour Finals at the O2 in November, Gearhouse used four SK-UHD4000s for both the four-camera UHD coverage and the standard HD coverage which was broadcast live from the O2 for a week. The main selling point of the camera – according to Hitachi executives – is the ease with which it might slot into existing workflows and OB equipment. Kevin Moorhouse: "The next step is to make a side-by-side ‘shootout comparison’ with other manufacturers’ camera systems"
“The 2/3-inch B4 mount means that we’re able to continue using our existing lens stock – this is a huge bonus and something that we told Hitachi was very important to us when we started to look at 4K,” says Moorhouse. “Specifically within sport, we’re still able to use the long, big-barrel lenses we already have so there’s no need to invest in more equipment. The camera was also tested by Gearhouse at the Ryder Cup. Besides the use of existing lens stock, this trial demonstrated the ease of set up when used in a 4K workflow. It took Gearhouse technicians at Gleneagles less than one hour to set the camera up. The camera has four sensors – one red, one blue and two green. This gives better sensitivity and ultimately, better resolution. Even the HD output is sharper in the SK-UHD4000 – something you would expect from a camera which can shoot four times that resolution. The biggest bonus to the camera’s multiple sensor approach for live sports, according to Moorhouse, is again, the ability to use existing lenses. The camera has four HD outputs as well as two 4K outputs (and four SD outputs if required). At the O2 the camera was run in both HD and 4K at the same time. “We wouldn’t invest in any equipment if there was a chance it would jeopardise our HD broadcasts because HD is still going to be around for years – even if we start to broadcast 4K next week. New, higher resolution is an exciting prospect for the entire industry, from production right through to post and delivery. 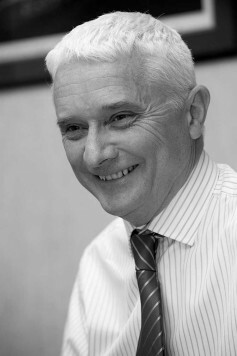 But HD is still very much the standard and we need to make sure that our output is as good as it’s ever been. The Real-Time Lens Aberration Correction (R-LAC) in the SK-UH4000 is used in the same way as it has been in all the recent Hitachi cameras. The software reads data fed from the lens and corrects any misalignments between this and the pick-up device inside the camera. Because of the way lenses and cameras are manufactured, the alignment can’t be physically shifted so the built-in correction tool does it instead. Any combination of camera and lens can produce a misalignment between the two and using HD lenses when shooting in 4K can make this more apparent. This issue can be heightened if the lens has ‘been around the block’ so the lens correction in the SK-UHD4000 combats this by being more precise. 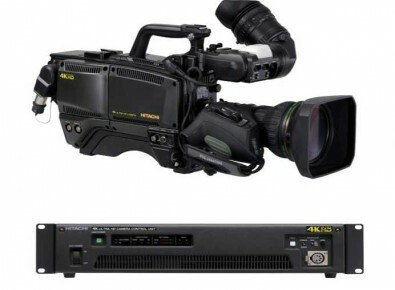 Gearhouse is building new OB trucks for its Australian businesses and the SK-UHD4000 will feature in these. We have some older “SD” lens that seem to do well at “HD” I wonder how they will do at 4K? to critically focus like the shooters on a movie set!